Free webinar produced in partnership with The BIG Initiative, National SBIRT ATTC, Kognito, and NORC at the University of Chicago. This collaboration is generously supported by the Conrad N. Hilton Foundation. The U.S. Surgeon General’s recent report, “Facing Addiction in America”, shows that 20.8 million people in the United States are affected with substance abuse disorders and a doubling of youth overdose fatalities in 35 states over the past ten years. The report calls on academic and healthcare professionals to incorporate Screening, Brief Intervention, and Referral to Treatment (SBIRT) into their routine practice to promote early identification and intervention. Kognito, a health simulation company, and NORC at the University of Chicago have partnered with the Council on Social Work Education (CSWE), the Center for Clinical Social Work (CCSW), and the American Association of Colleges of Nursing (AACN) to engage social work and nursing schools and their accrediting bodies to develop and disseminate an interactive, competency-based substance use SBIRT curriculum. Our webinar panel will share their experience implementing the interactive curriculum and the online simulation, SBI with Adolescents, in social work education. The panel will also share insights garnered from student feedback. 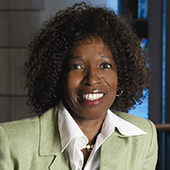 Andrea Bediako, MPA, is the Associate Director of Education Initiatives and Research at the Council on Social Work Education (CSWE). In that role, she oversees a number of grants including SBIRT and she also provides support to commissions and councils within CSWE. She has previously worked at InterAction, the Aspen Institute and volunteered with a small humanitarian organization, Promotion et Développment Humain (PDH) in Lomé, Togo in West Africa. Valire Copeland, PhD, is Associate Dean of Academic Affairs, associate professor, School of Social Work; the associate director of the Public Health Social Work Training Program, and faculty affiliate in the Center for Minority Health at the University of Pittsburgh’s Graduate School of Public Health. 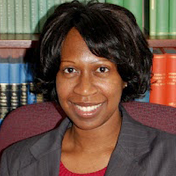 She is Co-Director of the Faculty Diversity Seminar, Office of the Provost & Senior Vice Chancellor. 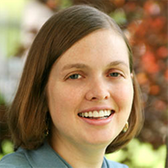 Shannon Mayeda PhD, LCSW, CRADC, has been on the USC School of Social Work clinical teaching faculty since 2004. She has more than 33 years of clinical experience working with people who have been diagnosed with severe and persistent mental illnesses, including schizophrenia, bipolar disorder, personality disorders and severe addictions. Dr. Mayeda is chair of the Mental Health concentration, coordinator of the Systems of Recovery from Mental Illness sub-concentration, and lead instructor for the psychiatric DSM diagnosis course, Brief Treatment and Crisis Intervention course, and two severe mental illness and addiction recovery practice courses. 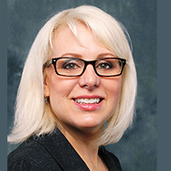 Stella M. Resko, PhD, joined the faculty of Wayne State University in 2009 as an assistant professor with the Merrill-Palmer Skillman Institute and the School of Social Work. She received her Ph.D. in Social Work in 2007 from the Ohio State University and completed a two year post-doctoral fellowship at the University of Michigan Addiction Research Center (T32 award funded by the National Institute on Alcohol Abuse and Alcoholism 2007-2009). During her post-doctoral training, Dr. Resko worked on interdisciplinary research teams for two randomized trials designed to develop and test the effectiveness of brief interventions addressing substance use and violence perpetration among adolescents. 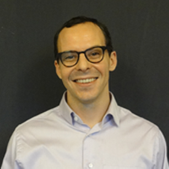 Cyrille Adam, EdM, brings ten years of experience in instructional theory, design, and research to Kognito's health and wellness simulations. Working with Kognito's research and instructional design teams, Cyrille drives product innovation and evaluation by interfacing with independent researchers, subject-matter experts, partners and clients. Prior to joining Kognito, Cyrille developed health and technology projects at the Columbia Center for New media Teaching and Learning (CCNMTL) and within the Global Polio Eradication Initiative at the United Nations Children’s Fund (UNICEF).